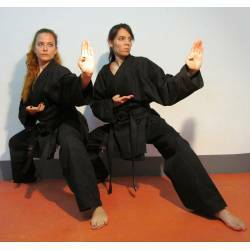 Karatepuku lapsille, 100% puuvillaa. Kaikkein kevein saatavilla oleva malli, mutta siitä huolimatta erinomaista Kamikaze laatua. Täydellinen puku pienille junioreille, halvin vaihtoehto. 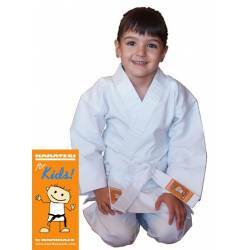 Karategi SUNRISE for Beginners, by KAMIKAZE (100% cotton). Superlight weight. Perfect as first uniform for teenagers and their mothers looking for the cheapest available uniform. 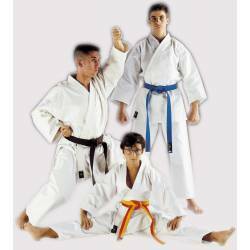 SPECIAL/JUNIOR: Economic Medium Weight Gi . 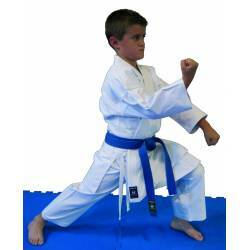 SPECIAL KYOKUSHINKAI: Medium weight gi with embroidery of Kyokushinkai on the left side of the chest (in blue colour). Black jacket from Kamikaze, model BASIC BLACK. 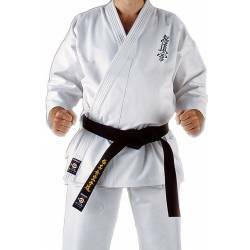 Multipurpose Light Weight uniform in BLACK color (100% cotton). Black trousers from Kamikaze, model BASIC BLACK. 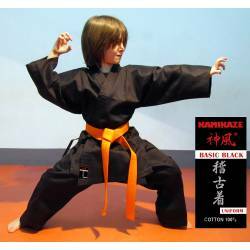 Multipurpose Light to Medium-Light Weight uniform in BLACK color (100% cotton).